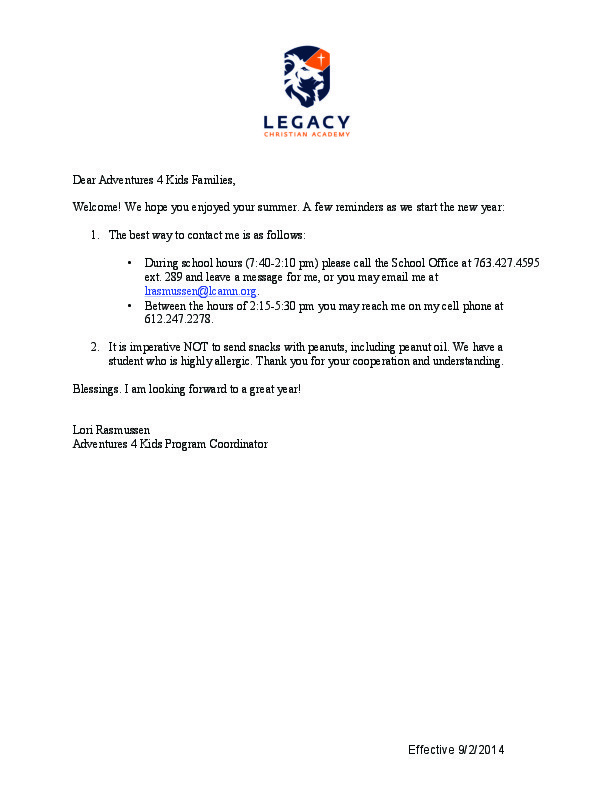 LCA Adventures 4 Kids is an after-school extended care program for students in grades K-4 run by Mrs. Lori Rasmussen. 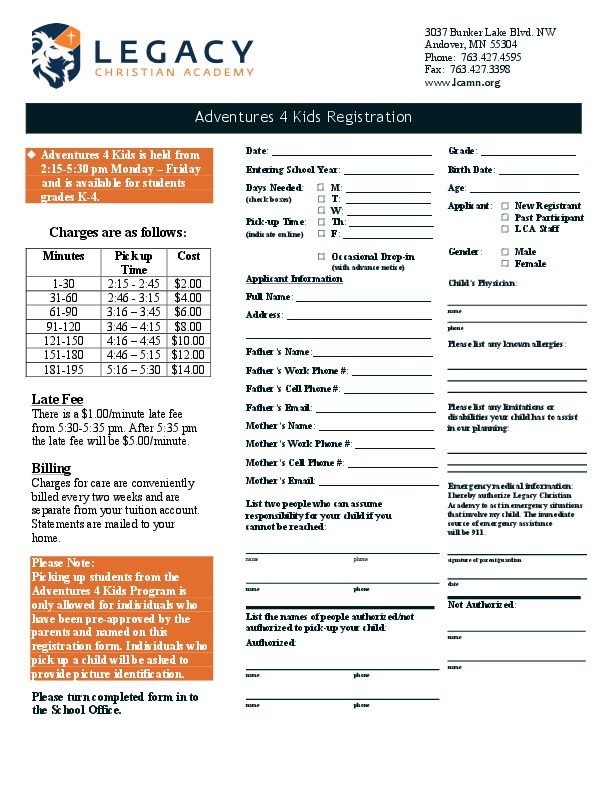 The Adventures 4 Kids team seeks to provide students a fun and safe place to come after school where they will be given the opportunity to interact with peers while playing games, making crafts, going outside, using the computer lab, and much more! Students always meet in the Media Center after the school day ends at 2:10 pm and parents will be assigned a key fob to enter through Door #6 to pick up their children. Students must be registered prior to attending the program. Late Pick-Up Fee: $1.00/minute late fee from 5:30-5:35 pm. After 5:35 pm the late fee will be $5.00/minute. Charges for care are conveniently billed every two weeks and are separate from your tuition account. Statements are mailed to your home.